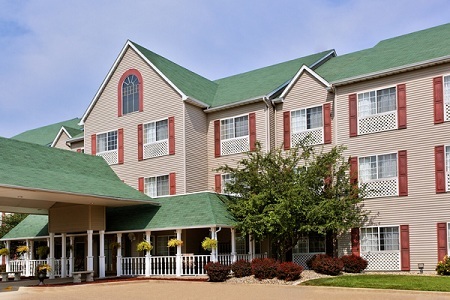 Just five miles north of downtown Decatur, the Country Inn & Suites® by Radisson, Decatur, IL is conveniently situated in the peaceful village of Forsyth. 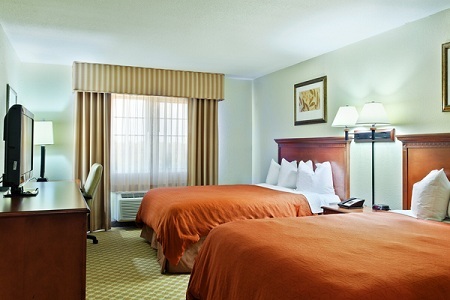 From our hotel off I-72 and US-51, you can easily reach the area’s top attractions, including Millikin University, about six miles away. After a meeting, take a break from work to visit Rock Springs Nature Center. For families, the Children’s Museum of Illinois is about a 15-minute drive from the hotel. Celebrating a special occasion? 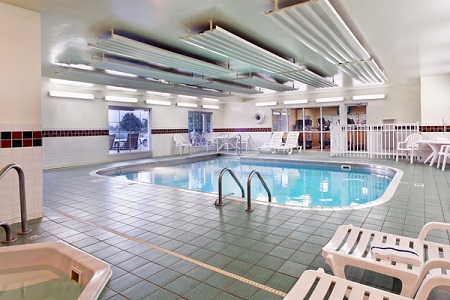 Upgrade to a Whirlpool Suite for more space and a whirlpool. 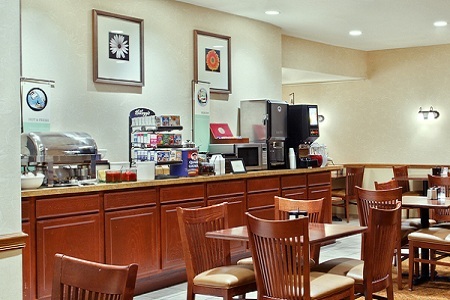 Fuel your day with the hotel’s free, hot breakfast, featuring delicious items like Belgian waffles and fresh fruit. For lunch and dinner, try a nearby restaurant like Krekel’s Custard & Hamburgers for a mouthwatering cheeseburger or Beach House for seafood and stunning lakefront views. Children’s Museum of Illinois – Let your imagination run wild at the Children’s Museum of Illinois, just 15 minutes away. Designed to educate, entertain and inspire the next generation of creative thinkers, this museum offers a variety of fun Maker sessions for kids and painting classes for adults. Millikin University – Listen to a concert, tailgate at a Big Blue game, or tour the 100-year-old campus at Millikin University, about six miles from the hotel. You can gaze at the stars through the largest public telescope in Illinois before enjoying pizza and live music at Campus Town. Rock Springs Nature Center – Hike along the Sangamon River, learn about Midwestern life in the 1850s from re-enactors at the Homestead Prairie Farm, and watch birds and deer come to the nature center’s feeding area, all just a 15-minute drive away. Host your next corporate event in our meeting space, offering free high-speed Internet access and audiovisual equipment rental. 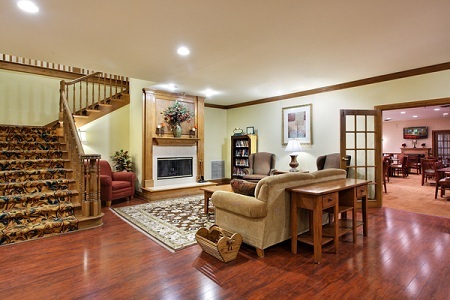 Reserve a block of rooms for your guests, and keep them informed about event details with a Web page that we personalize for you.